Panduit’s state-of-the-art headquarters showcases their products and solutions in the construction industry. In addition to offices, the project included meeting, conference and training rooms. The U.S. Green Building Council certified the building a Leadership in Energy and Environmental Design (LEED) Gold facility. 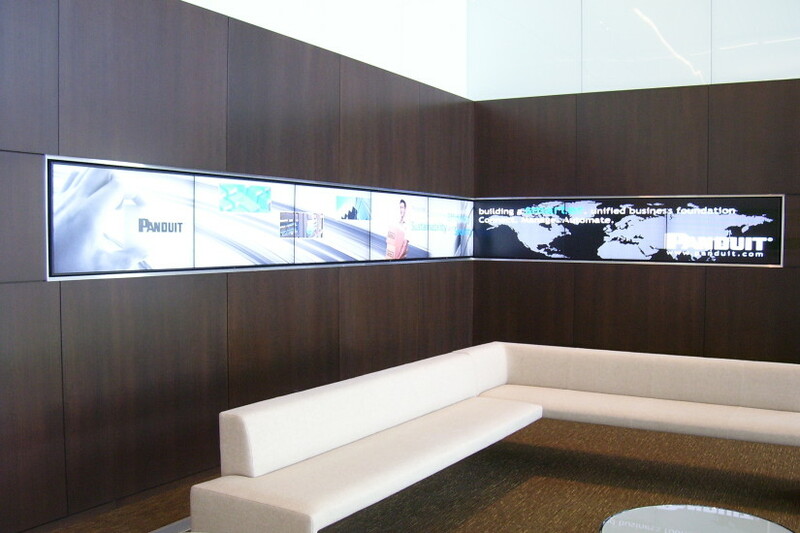 Upon entrance, the lobby and reception area establish the character of Panduit’s high-energy environment. A scrolling, LED display wall composed of eight 24-inch panels greets employees and guests. 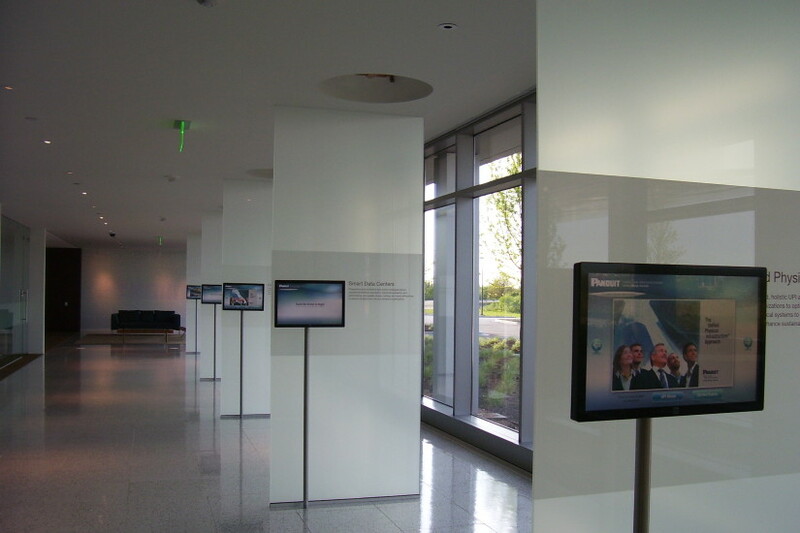 A series of flat panels positioned throughout the lobby stream information regarding Panduit’s history and product information, providing a unique understanding of the company and its products. This atmosphere extends throughout the building, where additional flat panels display the current time and date of 24 major time zones. Shen Milsom & Wilke’s acousticians designed a sound-masking and paging system that can be controlled through a single control panel. The unique sound-masking design can configure zones to accommodate different noise-level needs. Our audiovisual team equipped meeting, conference and training rooms with video and audioconferencing systems. The design embedded microphones into the tables along with device inputs. The facility’s training room boasts a virtual flipchart that allows instructors to post content electronically onto the large-screen display in the room.